Day 1.5 Credit cards? We don’t need no stinking credit cards. Got to Kentucky midday yesterday, just in time to have a beer and breeze through the registration line. Shortly thereafter, the mess started. FunPub’s credit card system went down and everything had to be done with cash. I don’t carry that much cash, but they did allow us to place holds on stuff, so I just need to go back some point today and actually pick it up. Meanwhile, here’s the same stuff from the cases. 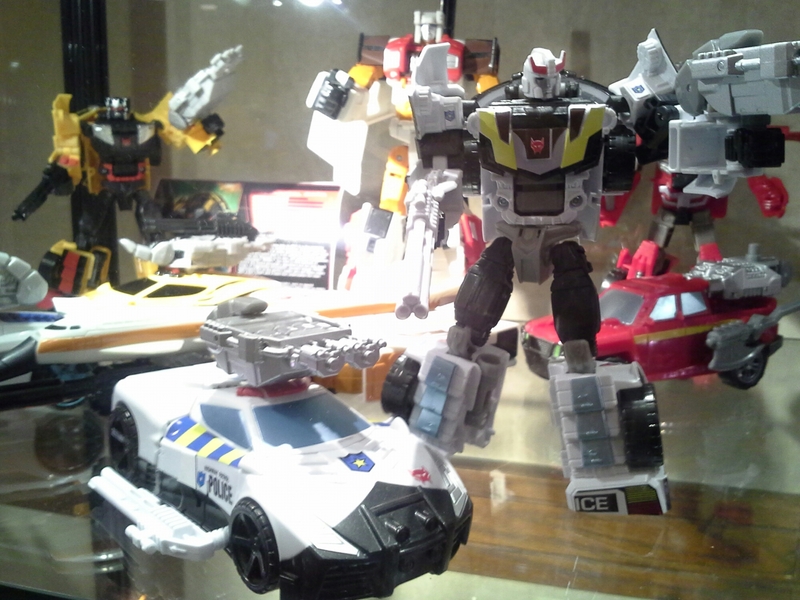 One surprise of the show was a sticker set used to turn Silverbolt, Prowl, and Ironhide into their Beast Wars “Magnaboss” incarnations to form Combiner Wars Magnaboss. Granted, to really turn Ironhide into Beast Wars Ironhide you would need to make him entirely grey in alt mode, but that’s not quite possible with stickers. 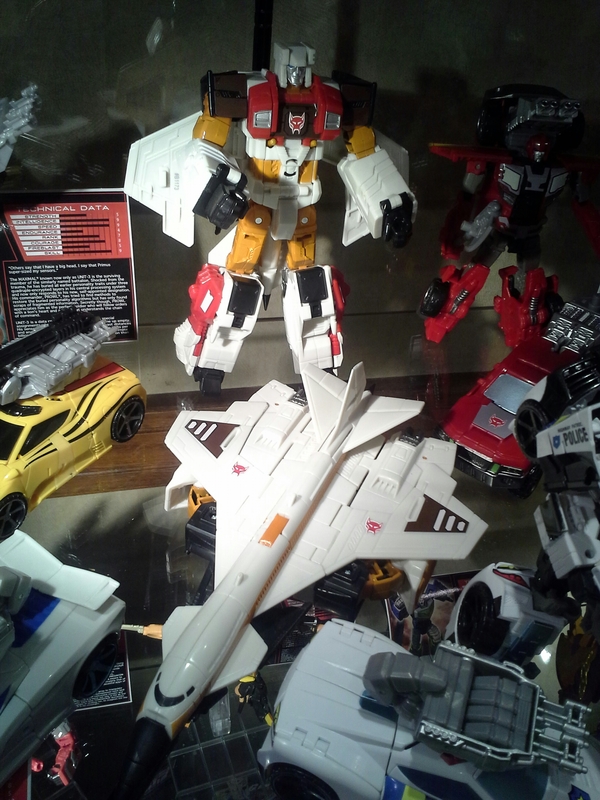 Though the same could be said for Beast Wars Silverbolt, the eagle. Come to think of it, no amount of stickers could really accomplish this task. 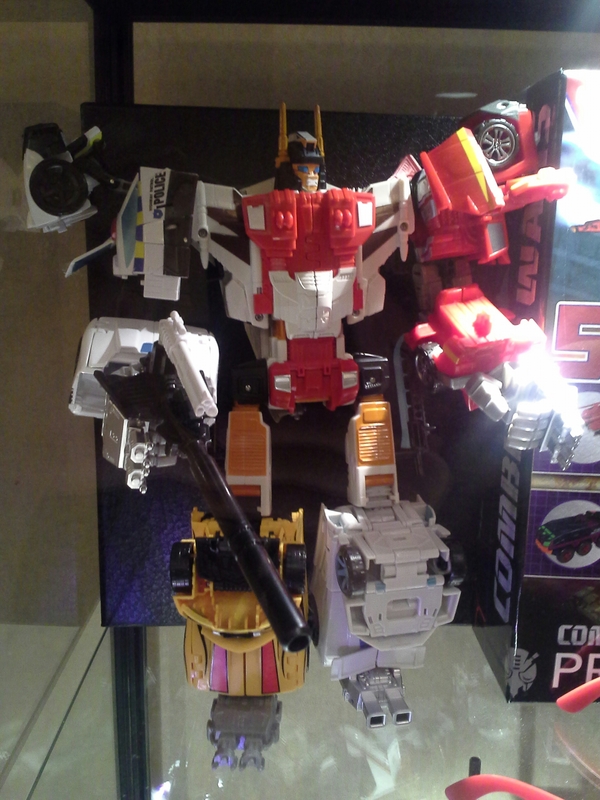 I guess it was a nice attempt to provide a rival for Predacus, the combiner from the boxset. 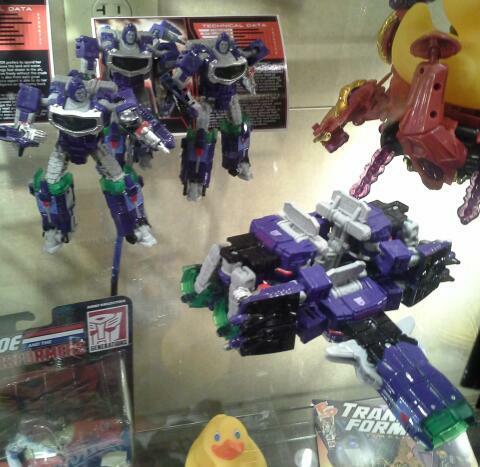 The piece everyone seems to be flipping out about most is the somewhat confusingly pre-Transmetal Transmetal Megaton made from the Robots in Disguise Megatron/Galvatron mold. I do appreciate how pretty the figure is in-hand, and the new headsculpt is quite nice. Overall, though, the toy leaves me flat. 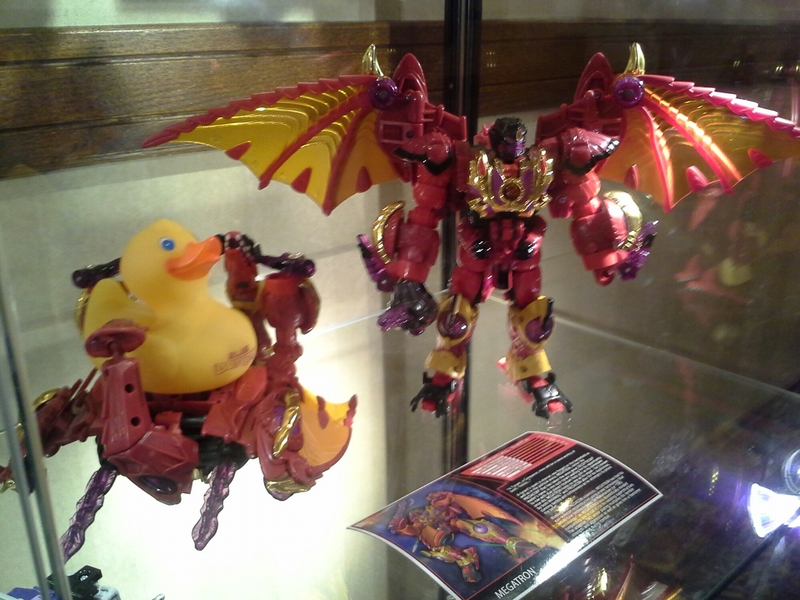 I did make sure to grab the BotCon 2016 branded rubber duckie for sure. 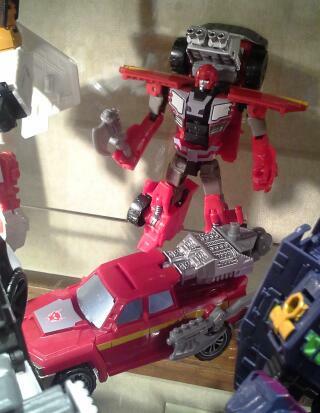 Another surprise was Reflector. Not that we were getting the set, that had leaked previously, but that the mold is actually able to combine into a sort-of camera alt mode. However, the star of the add-ons is Unit-3, the homage to the Under-3 MacDonald. Huh. Who are the other two members of the Magnaboss? 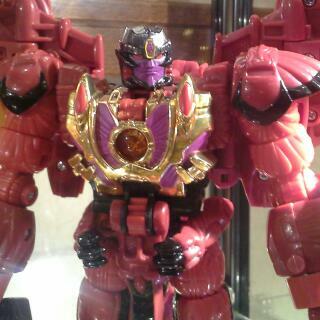 Also, I think that the Transmetal 2 Beast Machines Megatron Is probably one of the coolest things I’ve ever seen. It’s the Tigatron and Unit-3 exclusives. Aw, sweet, they made a new Tigatron? Which mold is it from? Looks like Breakdown. 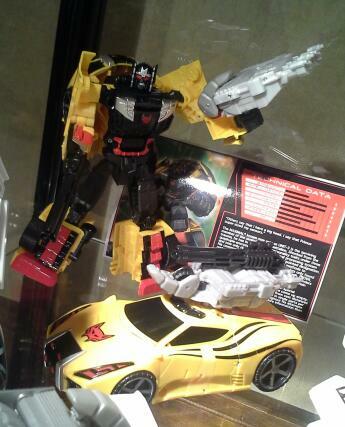 Yeah, it’s a repaint of the Ravage from the boxset, which is the Breakdown mold. Sadly the new headsculpt is horrible and flat.